Special counsel brings charges against 13 Russian nationals and three Russian groups for interfering with the 2016 elections. 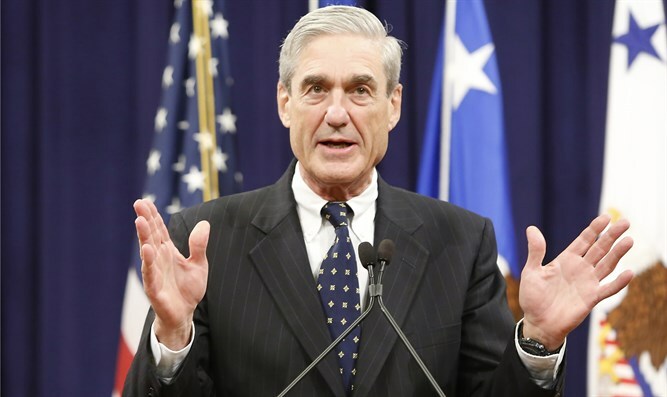 Special counsel Robert Mueller on Friday brought charges against 13 Russian nationals and three Russian groups for interfering with the 2016 U.S. elections, The Hill reports. The charges allege that the Russians created false U.S. personas and stole the identities of real U.S. people in order to interfere with the 2016 presidential election, an assessment previously reached by U.S. intelligence agencies. “This indictment serves as a reminder that people are not always who they appear to be on the Internet,” Deputy Attorney General Rod J. Rosenstein said at a press briefing announcing the indictments. “The indictment alleges that the Russian conspirators want to promote discord in the United States and undermine public confidence in democracy," he added. President Donald Trump has been briefed on the indictments, the White House said. The Russian efforts, which began in 2014, were connected to the so-called Internet Research Agency, a shadowy operation based in St. Petersburg that leveraged Facebook and other social media platforms to spread divisive messages leading up to the 2016 election, according to The Hill. The indictment says that the goal of the entities and people indicted was to support Trump's campaign and to hurt his Democratic rival Hillary Clinton's, and that some defendants while posing as U.S. people communicated with "unwitting individuals associated with the Trump Campaign and with other political activists to seek to coordinate political activities." "Defendants' operations included supporting the presidential campaign of then-candidate Donald J. Trump ("Trump campaign") and disparaging Hillary Clinton," the indictment reads. "Defendants made various expenditures to carry out those activities, including buying political advertisements on social media in the names of U.S. persons and entities." The indictment describes a conspiracy to alter the U.S. election that involved fraudulently won visas to enter the United States, and a sophisticated operation to reach voters in key states for the purpose of affecting the election through political advertisements, events and social media operations. The Russians are alleged to have talked to U.S. people, and to have been advised to focus efforts on swing states such as "Colorado, Virginia and Florida." The indictment alleges that the defendants and co-conspirators, through their personas, tried to encourage minority groups not to vote in the 2016 election or to vote for third party candidates, according to The Hill. In addition, the defendants allegedly promoted allegations of "voter fraud" in the Democratic Party beginning in the summer of 2016, through their personas on social media and political advertisements. Rosenstein stressed that there is no allegation in the indictment that Americans had any knowledge of the operation. The Internet Research Agency was found last year to have purchased $100,000 in political advertisements on Facebook running up to the election. The social media platform told Congress that the ads, designed to exploit political and social divisions in the United States, potentially reached 126 million American users. Twitter has also uncovered some 3,800 fake accounts and 50,000 bots tied to the shadowy Russian operation. The defendants are being charged with conspiracy to defraud the United States; three defendants also face additional charges of conspiracy to commit wire fraud and bank fraud, and five with charges of aggravated identity theft. Rosenstein is the top Justice official overseeing Mueller, who was appointed by the Justice Department last year to oversee the federal investigation into alleged Russian interference in the 2016 election. His appoint came after Attorney General Jeff Sessions recused himself from any involvement in the Russia investigation due to his role as a prominent campaign adviser and surrogate. Russia, meanwhile, rejected the indictments as “absurd”, reported Reuters. “13 people interfered in the U.S. elections?! 13 against an intelligence services budget of billions? Against intelligence and counterintelligence, against the latest developments and technologies? Absurd? Yes,” wrote Russian Foreign Ministry spokeswoman Maria Zakharova on Facebook.